The beautiful thing about Pilates is that it feels good. I got to know Clarissa a couple of months ago after I published an article How to Find Your Pilates happy Place. Clarissa responded to a newsletter (tip: it shows you that I always answer all the emails. And I love hearing your feedback and building connections!) and we started talking. 1. 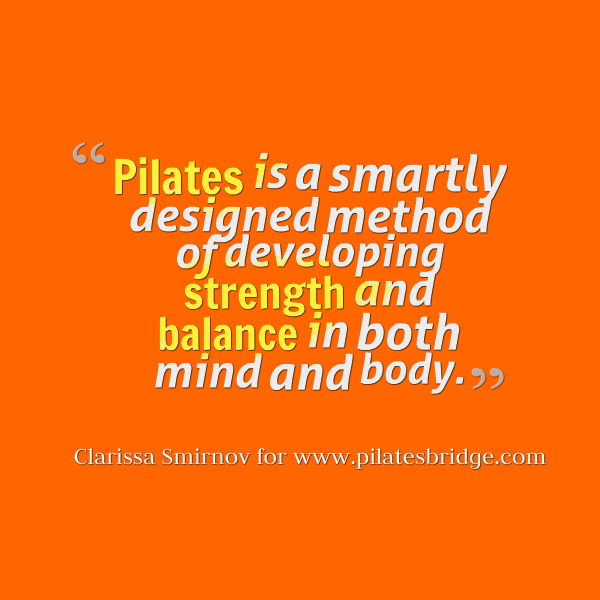 Clarissa, what inspired your love for Pilates? 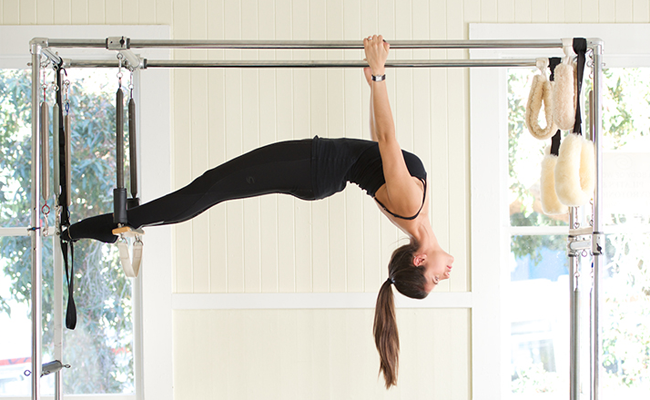 I realized I loved Pilates after my first few sessions – my body felt the work (for sure!) and in a good way. It was peaceful. There was flow and no strain. And the best part was that it didn’t take long at all until I started to see the difference. I feel that Pilates has this holistic nature, a meditative quality to it that brings the mind into the body, helping the two work together and hopefully find some level of harmony. I find this very special and inspiring. Pilates is so much more than just exercise. I’m inspired every time I see it change a client’s personal relationship with his or her body eventually leading to healthier habits and a level of change that might’ve seem impossible before Pilates. I find that what it takes to practice Pilates (think about the six Pilates principles defined by Joe) very empowering. 2. What is your personal short definition of Pilates? 3. What part does Pilates play in your life today (personally and professionally)? Pilates has been a part of my life ever since dance was no longer a part of it. Through the years, Pilates progressed from physiotherapy for my knees to active meditation, fitness and a way to indulge being in control. Eventually, it went back to being physiotherapy, this time for my back, and then evolved into my profession. Today, Pilates is my source of joy in movement as it had been once through Dance. It’s also my reminder that perfection and the final destination aren’t the point. But primarily, Pilates has become my path toward happiness and a healthy lifestyle through awareness, balance and a body that is capable and pain-free. Professionally, Pilates is my ongoing challenge and source of fulfillment in the ability to influence change and help others enjoy it as much as I do and hopefully gain from it as much as I have. 4. Can you guide us through one of your personal Pilates workouts? I always try to give myself a full body workout that takes me through all ranges of motion and planes of movement, hopefully using both apparatus and mat exercises. My workouts usually vary depending on the general needs of my body and what might benefit it the most on that particular day. I also like to pick a routine that will make me feel ready, both mentally and physically, for the kind of day or week I have ahead of me. For the most part, I’ll start with something that will gently warm up the body and get my joints out of that sticky feeling joints tend to have until you start moving. I really enjoy beginning my sessions with the basics, footwork on the Reformer or roll ups on the mat (or using the roll back bar on the Cadillac), likely followed by bridging variations, because not only these are great exercises for waking up the deep abdominal muscles, the spine and hip area, but also because they give me a great sense of where my body is that day – a good opportunity to check in and listen. By the time I am warm, have a good grasp of my center, and I’ve twisted and side bended through a couple of different Mermaid variations, I’ll move into exercises that will challenge my ability to stay in my lower abdominals (and not in my hip flexors or lower back), such as the Corkscrew (always a tough one for me!) along with anything that requires hip stability as with sideline series, which always leave me feeling long and stable. Then I’ll definitely get myself into those exercises involving the whole body that might make me break a bit of a sweat but feel strong, like the plank variations on the Reformer and lunges on the Chair. I usually reward my efforts with spinal extensions, such as Swan and Swimming. I love extensions! They are just so opening and freeing. And I love that they can take all of my concentration, especially when dealing with sequentially extending the spine and keeping everything else in place. Toward the end, I like to indulge in stretches that allow flow and mobility, such as Bonanza on the Cadillac or Hip Circles on the Reformer, and I usually like to finish with something that brings it all together and leaves my body with a sense of strength, centeredness and length. 5. 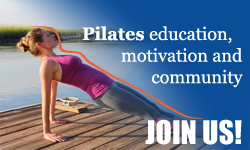 What is your “specialty” in Pilates? Getting my clients to safely and effectively break a sweat – hopefully while enjoying it. After working with people, I’ve come to realize that not everyone likes to workout. Unlike me, some people hate it, but we all need it. So I like to take advantage of the level of body organization and mindfulness in Pilates to improve postures, full body strength, flexibility, coordination, and proprioception all while challenging my clients beyond the point they believe they can go ­– whether they are at the peak of their fitness, recovering from an injury or just starting out. 6. What is the single most important (Pilates-related) advice that you give to all your clients? Make it about the journey, not about getting there. I like to remind my clients that there is no such thing as getting there. No matter how long you’ve been doing Pilates, you can always reach a little longer, engage a little deeper, grow a little taller… And there’s always gravity getting heavier and heavier, long airplane flights making us tighter, that bad night of sleep creating neck tension, and other little and big things that will keep making us take a few steps back every now and then. But in the way I like to see it, it’s only so that we can take that next leap forward. I love reminding clients (and myself) to apply that concept both ways. There is no such thing as failure, as long as you’ve given your honest, clean effort and taken something out of the experience. For example, Rolling Like a Ball may not be available to your body today, but focus on why wasn’t it available? or could I have concentrated more? Your body may not be as flexible or as willing as it was the day before, and that’s ok.
Do not accept mastery of an exercise just because you’ve done it “perfectly” once or even many times before. In every movement, every repetition is an opportunity to take the work (or you may call it the experience) further. To make it feel better, more connected, stronger, and to live in that one moment, in the making of it more so than in the race toward accomplishing it. 7. 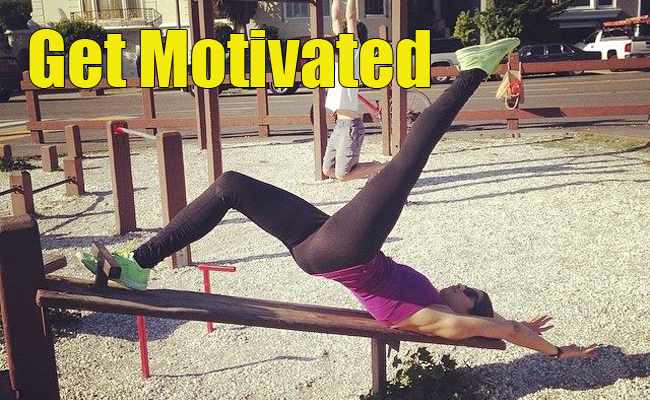 What are your top tips for staying motivated to do and teach Pilates? I really believe in staying focused on the journey toward a healthier and fitter body more so than focusing on getting there, achieving the results we all want so much – whatever they may be. I find that when we have a goal and put our efforts toward it, we do get a good deal of motivation and depending on just how determined we are, we might just get there (maybe even rather quickly). But then what happens when we do get there? We lose that motivation, and we’ll have to find another goal, a new thing to fight for. And what happens if we don’t get there so quickly or find no love and enjoyment in what we have to do to get there? We’ll find ourselves always fighting, struggling, and possibly never happy, never satisfied. And when that happens, it becomes easy to give up. Stick to it and stay consistent. As with anything else, practice makes perfect and the more you do it, the better it feels and the more you get out of it. As a trainer, helping keep my clients in check with the frequency of their own practice and good health habits tends to help me keep in check with my own. I do my best to always follow the ideal “practice what you preach.” Well, as much as possible. It’s always so much harder to do it than to say it (right?). But it’s also so much easier when you and your client(s) are in it together and can feed off each other’s determination and consistency. Stay mindful and be present. When we do something mindlessly, it becomes repetitive and boring. So, I always remind my clients, “don’t just go through motions” and “don’t just get it over with.” Always work honestly and with integrity through each movement – and the very same goes as a trainer. If I am on my fifth session of the day, how many times will I have said, “Pull those abs in” or ”lengthen the spine.” Maybe enough times to forget or believe less in the point of saying it. Staying present as if I were moving with them (and reminding myself to do so as I remind them) always helps me stay meaningful and precise with my cues. Enjoy it and fall in love with it. It’s always so much easier to do something because we like it rather than because we have to. So as you do or teach Pilates always remember why you choose to do it, why it feels good. And it’s even better if you can connect to these positive and rewarding feelings while you are at it. Planks are hard but they feel good – you get to feel energy through your whole body. And just how awesome is that? As I remind my clients of what feels so good about what they are doing, I am immediately reminded of why I love what I do so much. Always listen to your body and take care of it. While all of the above has always helped me keep going and craving more and more of not only Pilates, but wellness in general, it’s always important to listen to our bodies and seek to stay in a zone of challenge, not struggle. Whether doing a Pilates exercise, trying a new eating plan, or whatever venture it may be, I believe in always working in a place of strength that will keep me going forward and yet with gusto and excitement to do it again, a little harder each time but always winning. And sometimes that means taking that modification or using a lighter spring tension. I am always rewarded when I can get this idea through to my clients. I usually see it in their faces – “yes, it feels so much better!” And as we’ve all come to know, in Pilates better doesn’t mean easier. 8. What is the funniest thing that has ever happened to you when teaching or practicing Pilates? When demonstrating the Teaser for one of my classes, as I was going for my second repetition, I became distracted by one of the clients who was trying to use momentum, and right as I began to talk about moving with control, I went into what could’ve seemed like a teaser for a fraction of a second and landed with my legs down on the ground seated on my bottom. It was bad… at least as a far as a demonstration of quality. But it was pretty funny, and I must say, it was a great example of just what not to do. 9. Joseph Pilates in his book Return to Life through Contrology said “Above all, learn to breathe correctly”. If you were to give a similar advice what would it be? If you have a side that’s weaker, learn to love it and learn from its inadequacies as you try to convince it to be more like the good side. That’s where the strength and growth come from. Besides, I have yet to see someone who was born with or who has achieved perfect balance between right and left side, anterior and posterior chain, and so on. And as we become more aware of our bodies and where we are moving from, we also become more aware of our imbalances. And it’s often humbling, and at times it even feels limiting because certain movements just won’t happen with that ideal form or quality, possibly leading us to a feeling of inadequacy toward our bodies. But that’s only if we allow ourselves to dislike that weaker side or those ribs that just won’t knit. After working on my knock-knees, longer left leg, and slightly atrophied left shoulder after an injury from a car accident, I’ve gone from feeling inadequate to intrigued and motivated. I’ve realized that my body will very likely keep all of its imbalances to a certain degree. And doing Pilates to help minimize them, while getting stronger, more aware and maybe even more in control keeps it fun. I hate working out because it makes me realize just how unhealthy I am. I wish I could be healthy NOW! But what you said about it being about the journey, not the “getting there”, and how there’s no such thing as failure is a good reminder that everyone is on their own path! I just have to do the best I can, and be satisfied with where I am today, so I can strive for a more healthy me tomorrow! Actually right now I am finishing up my 10-week program and I can’t even believe the changes that I am seeing. Things that seemed impossible at the beginning of the journey are reality today.